Western Norway’s rustic port village of Flåm, a remote goat-farming hamlet and summer escape set deep among the region’s icy fjords and towering, snow-capped peaks, seems an unlikely launch site for the future of sustainable nautical travel. But, in the form of a sleek, black-and-white, 42-meter catamaran anchored in the village’s tiny harbor at the end of the glimmering Aurlandsfjord, the future has already arrived. The mint condition vessel with raised dual hulls is joined to the quay by a cable plugged into a delivery-van-sized aluminum cargo container, which houses 5,500 kilograms of batteries. Otherwise, nothing announces the curious boat as a pioneer of the next generation of seafaring, save for the neat block lettering on its bow: Future of the Fjords. The zero-emission, battery-powered Future of the Fjords, fabricated out of ultra-lightweight carbon fiber, recently began carrying as many as 400 sightseers at a time through some of Norway’s most jaw-dropping fjords. The Future, as its crew calls it, is Norway’s latest, most auspicious design in climate-friendly sea travel—part of a bold initiative that could revolutionize the global cruising and shipping industries, egregious emitters of greenhouse gases. By eliminating the oversized carbon footprint of seafaring vessels, Norway and other shipping nations can dramatically curb carbon emissions, claim Norwegian scientists and clean-tech entrepreneurs. Simultaneously, electricity-propelled vessels will reduce noxious air pollution in busy harbors. 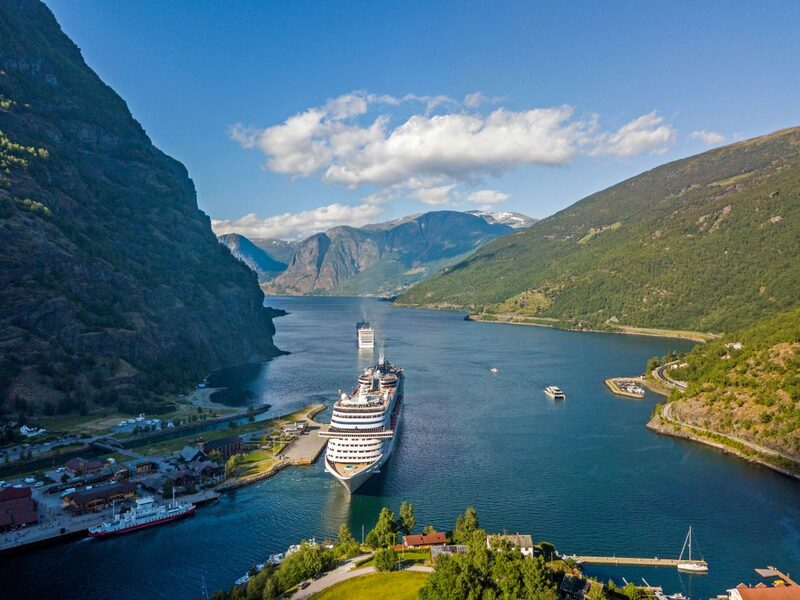 The country has ruled that by 2026, access to its two fjord areas classified as World Heritage Sites, which includes part of the Aurlandsfjord, will be restricted to zero-emission vessels. Four years later, Norway will begin restricting other fjords and Norwegian waters to ships with low- or zero-emission technology. Norway is already on track to turn much of its ferry fleet electric; the first batch of 63 new ferries is in production. Throughout the country’s windswept western archipelagos, other craft—fishing boats, supply vessels, research ships, yachts, tugboats—are switching from traditional diesel-fueled combustion engines to electric propulsion, a prospect that just a few years ago sounded fantastical. Experts say Norway’s innovations in green seafaring portend the transformation of most small- and medium-sized ships. Engineers are currently working on expanding emission-free technology to the world’s biggest vessels, including cruise liners, which require significantly greater voltage and will go green much more slowly and in stages, at first in hybrid form. The islands on Norway’s coast now host so many clean-tech start-ups that the area has been called Norway’s Silicon Valley. The small firms design hardware such as propeller blades and lightweight hulls for electric ships and engineer the world’s most advanced charging technology, while workers at historical shipyards assemble the components into seaworthy vessels. Six years ago, the Norwegian government began to plug funding into these pilot projects to determine the feasibility of reducing emissions in nautical travel. The results of the test projects triggered a full-blown epiphany: alternatives to emission-heavy nautical travel are less complex and costly than anyone thought. The dark irony is that funding for Norway’s costly clean-energy projects is garnered indirectly from the revenues of the country’s sprawling oil and gas fields in the North Sea. Norway, Europe’s largest petroleum producer after Russia, exports almost all of its reserves, supplying the European Union with about 25 percent of its gas demand. This is one reason the state can fund the annual NOK 2.7-billion (US $320-million) budget of the Ministry of Climate and Environment’s development agency, known as Enova. And that’s just one pot of government money available for clean-tech advances. A scathing 2018 report published by several environmental groups claimed: “There is significant cognitive dissonance as [Norway] fails to address the impact of its oil and gas extraction … and indeed undermines global efforts to reduce emissions.” The petroleum Norway exports represents 10 times the quantity of greenhouse gas emissions that the country produces itself—much of it emitted through the shipping industry. Maritime technology, in Norway as elsewhere, has been much slower to turn to clean energy than the automotive sector. Until very recently, a powerful lobby—in the form of the International Maritime Organization (IMO), a United Nations agency responsible for regulating shipping—had assiduously protected the global shipping industry from regulations to reduce carbon emissions. The industry, which includes roughly 100,000 commercial oil tankers, bulk carriers, cargo ships, cruise liners, and container ships, runs much of its heavy-duty fleet on the notoriously polluting heavy fuel oil. Shipping’s bunker fuels are essentially the low-grade (and thus inexpensive) waste products from the oil refining process. Shipping bears responsibility for two to three percent of global CO₂ emissions. In 2015, if treated as a country, the international shipping industry would have been the sixth largest emitter of CO₂ in the world—bigger even than Germany. It will be belching out nearly a fifth of all emissions by 2050 if the sector isn’t cleaned up, experts say. Because of resistance by the IMO, shippers and cruise companies managed to duck inclusion in the 2015 Paris climate accord, infuriating environmentalists. Earlier this year, however, in the face of fierce pressure from the European Union, the global maritime industry finally set modest goals for decarbonization. These included promises to explore battery-electric technology as well as alternative fuels and hydrogen power. Though heavy-duty tankers, freighters, and jumbo cruise liners won’t go completely green overnight, the industry has pledged to bring down greenhouse gas emissions by at least 50 percent by 2050 (compared to 2008 levels). So as other countries are now forced to consider clean-shipping initiatives, Norway is fathoms ahead in the race. Shipping’s carbon footprint, as sinful as it is, almost seems benign when compared to the other pollutants that come from the industry’s fuels of choice. Scientists say shipping is one of the largest emitters of sulfur, which causes respiratory problems and acidifies fragile ecosystems. Heavy fuel oil contains 3,500 times more sulfur dioxide than diesel used in cars. The vessels also discharge high concentrations of nitrogen oxides, highly carcinogenic components of smog. Norwegian environmentalists say cruise liners have defiled many of the most popular fjords, which have always been reputed for their “pristine” natural beauty. During harbor visits, the mammoth engines run on low throughout the day, blanketing port villages with smog. Twelve years ago, the Norwegian Institute for Air Research rang the alarm bell with a damning report on the fjords’ inferior air quality. The exposé shocked the Norwegian public. Nevertheless, since then, the number of cruise visitors to Norway, a country of 5.2 million, has more than doubled, reaching almost 700,000. Until now, there have been few alternatives for visitors keen on viewing the majestic byproducts of the last ice age but to sail on the soot-spewing cruise ships—including the storied Hurtigruten fleet, a Norwegian icon that has sailed the coastal route to the Arctic Circle since 1893—or on smaller, diesel-burning liners. “You don’t immediately see what’s novel about the Future,” explains its chief engineer, David Jansson, during a tour. 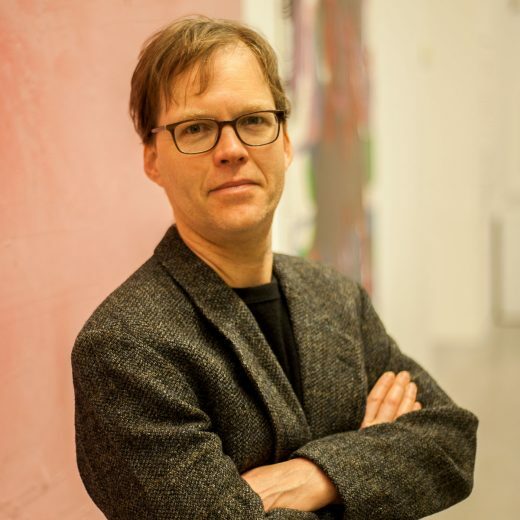 Jansson worked in Norway’s maritime freight sector before signing on with the Fjords, the Norwegian start-up behind the $17.2-million Future. Hatches on either side of the main deck lead down narrow ladders into the catamaran’s dual hulls, where the engine room would be found in conventional craft. On the Future, it’s called the battery room, because it holds seven tonnes of lithium-ion batteries and a 600-horsepower electric motor—the other hull holds the same. The ship’s batteries are charged from the stationary, wharf-side battery pack in Flåm and a floating charging dock in the old Viking village Gudvangen, both of which are charged several times a day from Norway’s public power grid. The long, glass fiber dock in Gudvangen, called Power Dock, also has tanks that receive black and gray water, making the Future the only boat that doesn’t just empty its waste into the fjord. When the ship docks, the batteries transfer power to the Future through a cable in about 20 minutes. The energy is 100 percent renewable as its source is Norway’s vast hydroelectric system, which supplies 96 percent of the country’s power. “The Future’s electricity comes from these mountains,” explains Jansson, waving an arm toward the ranges’ melting snowcaps. Batteries and hydroelectric projects take their own toll on the environment, of course; no energy source will likely ever be harmless—it’s a matter of degree. But getting emissions under control is arguably the transport sector’s most pressing concern. From Flåm, the Future plies the deep waters of the glacier-carved Aurlandsfjord and then sails on to adjacent, interlinked fjords in nearby canyons. After docking and recharging in Gudvangen, it returns to Flåm. The unhurried 74-kilometer round-trip journey lasts up to four hours. Aboard the boat, I immediately notice how quietly the vessel glides across the serene surface of the long, finger-shaped inlet. In stark contrast to noisy combustion engines, the Future’s motors purr softly like those of an electric car. As the boat passes a farmstead famous for goat cheese, I can even overhear the local merchants’ chitchat. Gulls cry as they circle the ship. Much higher above them soar white-tailed eagles with immense, outstretched wings that appear to be supervising the Future’s maiden voyage. Equally delightful, there’s no smokestack stench. The smell of the sea mingles with that of the thick, coniferous forests that cling to the fjord’s rocky banks. “You can actually smell the waterfalls,” gushes a fellow passenger, standing on the bow. And the Future’s gentle motors (battery propulsion is still less powerful than the combustion motors of the average tourist boat) disturb neither herring nor blue whiting, nor mackerel, nor saithe, nor the shoreline’s flora and fauna. The Norwegian green-transport revolution is being fine-tuned for the water but is rooted in terra firma. The country started pondering alternatives to the combustion engine for passenger vehicles as early as the 1990s, a full decade before the US start-up Tesla entered the world. Twenty-five years ago, Norway began encouraging the use of electric plug-in and hybrid vehicles, particularly in the capital city of Oslo. In the metropolis of 670,000, rebates and a range of tax exemptions helped boost sales of electrics; their owners enjoyed free parking and ferry transport, the use of bus lanes, and even free charging. Norway’s own electric carmaker, called Think, launched in 1991. At the time, the phenomenon of climate change was just entering public consciousness. “The electrification of mobility began because we saw it as a promising industry for Norway, as well as positive for the environment,” explains Øyvind Leistad of Enova. “We’re a small country with high labor costs, so we have to offer something special, like highly specialized technology.” Initially, the response from customers was underwhelming. 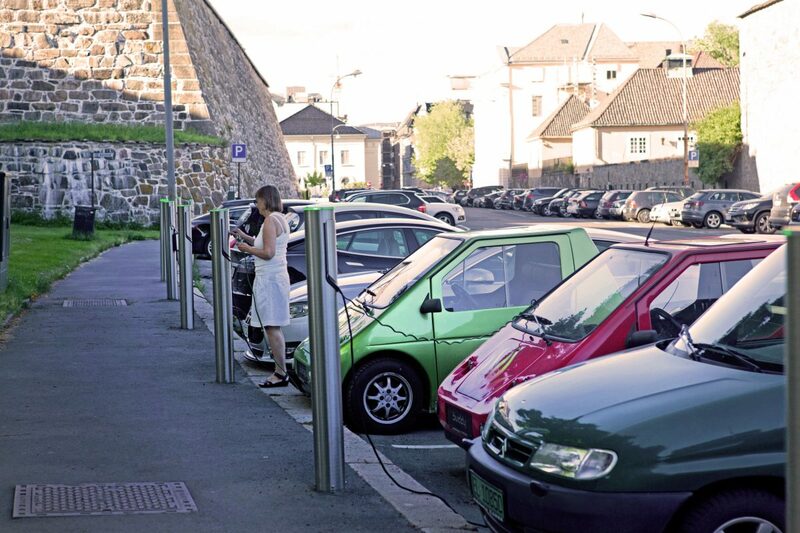 Yet as technology and infrastructure improved and prices came down, electric vehicles gained momentum; by 2015, Norway had topped its goal of 50,000 registered electrics, securing its place as a European frontrunner in the shift to electrics. Today, Oslo has the world’s highest share of electric vehicles per capita, and a third of its bus fleet runs on fossil fuel alternatives. Norway has declared that by 2025, all new cars must be zero-emission. The nation’s state planners and entrepreneurs were certain that tech-minded Norway had a place on the cutting edge of urban sustainability. Yet Think, which struggled financially all along, finally failed in the face of stiff competition from Asia, the United States, and elsewhere in Europe. Instead of Think vehicles, Oslo’s streets are full of electric Nissan Leafs, Mitsubishi Outlanders, Volkswagen e-Golfs, and Tesla Model Ss. In light of e-vehicles’ strides, Norway’s transportation ministry pushed development of the 21st century’s pioneer fully-electric ferry. Ferry travel is a vital means of transportation in the country, with about 200 vessels in operation. The contract was awarded to the Norwegian shipping company Norled and shipyard Fjellstrand AS, in collaboration with the German brand Siemens, which designed the motor. Just two years later, the consortium delivered the electric-powered car ferry MS Ampere. Since 2015, the 80-meter catamaran, which accommodates 120 cars and 360 passengers, has crisscrossed the nearly six-kilometer breadth of the Sognefjord, north of Flåm, with 16 round trips a day, seven days a week. The lightweight ship has a set of electric motors and the most advanced battery and storage technology of its day, which enables it to sail for about 20 minutes between chargings—just long enough to make it across the fjord. “The Ampere is the nautical equivalent of Henry Ford’s Model T,” says Jan Kjetil Paulsen of Bellona, a Norwegian environmental think tank. Despite the Norwegians’ bravado, electric shipping itself is not entirely novel—nor exclusively Norwegian. The first electric ships appeared in the United Kingdom late in the 19th century and flourished briefly before losing out to more powerful internal combustion engines in the 1920s. The Ampere, with the latest technology adopted from the best of electric car technology, declared that the electric ship was back and much improved, illustrating that small and medium ships traveling short distances (relatively slowly) could do so with battery propulsion. Much like the Ampere, Future of the Fjords is the collective brainchild of several tech companies—all Norwegian. And they benefitted significantly from government R & D funding and start-up grants. About an eighth of the Future’s financing was put up by Enova, which started supporting projects in the transport sector in 2016 and has also helped finance a hybrid fishing vessel, a retrofitted historical tall ship, and a fully autonomous, electricity-propelled container freighter—the country’s biggest endeavor yet—which will be launched in 2020, among others. “The point is not to subsidize the new solutions forever but to make them profitable as soon as possible,” says Leistad of Enova. In Norway at least, this looks feasible for electric shipping in the near future, in part because of the country’s abundant and inexpensive hydropower. Few other countries share the same advantage and will need to wait for the cost of green seafaring technology to come down. Norway may be out in front, but it has competition hot on its heels. China, for example, purports to have the first all-electric freighter, which hauls coal—yes, carbon-rich, climate-ravaging brown coal—along southern China’s Pearl River to a power plant. This fall, the Dutch company PortLiner intends to launch two cargo barges to operate between Amsterdam, Antwerp, and Rotterdam. France, Denmark, Finland, and Belgium are all charging into the waters of electric seafaring too. Every new generation of electric vessel, as it is with automobiles, has longer range, more battery power, and charges faster. The Future has nearly twice the power of the Ampere, which looks dated in contrast. 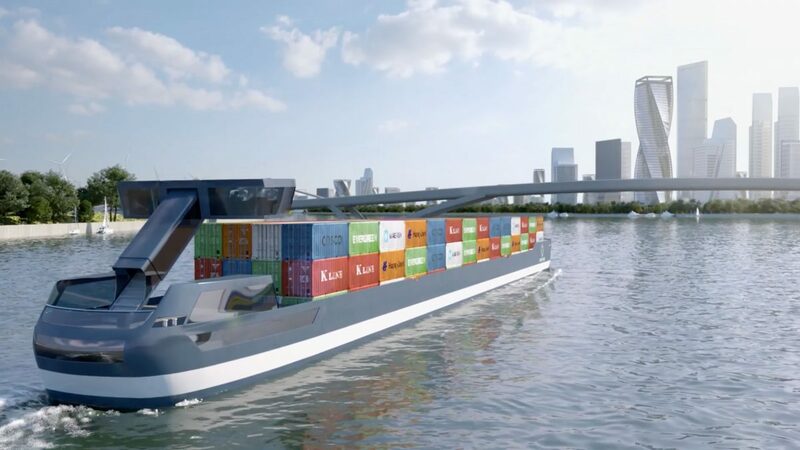 The Dutch barges will be 52 meters long and carry six-meter-long batteries—enabling them to cruise for 15 hours without charging. As for the cruise ships that dock in Flåm and other ports, there’s progress too, though more incremental. Because they have motors as big as multistory houses and travel stretches of hundreds of kilometers at a time along western Norway’s 2,400-kilometer-plus coast, they’re more difficult to convert. But Norway’s Hurtigruten is testing the limits—pushed by the reality that if it doesn’t slash emissions, it will relinquish the privilege to enter protected fjords, just as international ships will. It has already sworn off heavy oil fuel, opting instead for lower-sulfur variations of diesel. The company will soon introduce two new hybrid ships designed by the British carmaker Rolls-Royce to its fleet, with the intent of reducing fuel consumption by 20 percent. Ventures like the Ampere and Future of the Fjords show how quickly the industry can reinvent itself, with the right incentives in place. Yet, as I sail through the fjords, relishing the beauty, I wonder whether Norway could do more for the climate—much more—by scaling back its prodigious oil and gas production in the North Sea. As temperatures here inch up like everywhere else in the world, those snowcaps above Flåm will melt away, leaving Norway with less renewable energy for its electric cars and boats to draw upon, and thus leaving a big question mark about the future of electric mobility of all kinds. Still, in the short term, the Future and other zero-emission ships are a critical first step toward decarbonizing the maritime industry. Cite this Article: Paul Hockenos “Guilt-Free on the Sea?,” Hakai Magazine, Sep 18, 2018, accessed April 23rd, 2019, https://www.hakaimagazine.com/features/guilt-free-sea/. As Offshore Wind Power Picks Up, Do Seabirds Need to Suffer? By tracking birds off the east coast of the United States, scientists identified hotspots of bird activity.